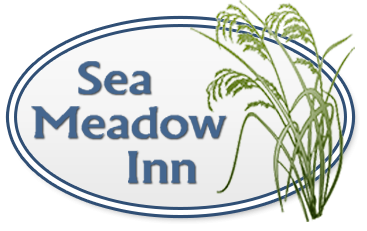 Spring on Cape Cod brings so many reasons to visit!! One of my favorites is the Paines Creek/Stony Brook Herring Run! Only a mile from the Inn, it's so much fun in April and early May to watch the schools of herring jumping up the ladders. Every year alewifes, small fish commonly known as herring, migrate to spawn. Special sloops are built into streams - like locks on a river - that help the fish as they navigate to their destination. The herring run at Stony Brook is a popular destination for everyone when the "herring run" - which takes place when the air is about 50 degrees or warmer each day. 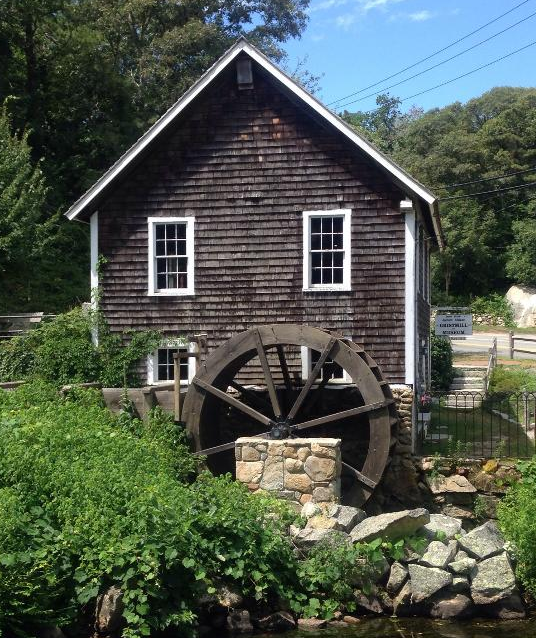 And then at the end of June, the Stony Brook Grist Mill opens! Saturday, June 30 marks the beginning of the 2018 summer schedule. They will be open every Saturday from 10 a.m. until 2 p.m. through August 25. You can see the water wheel in motion, buy some fresh ground corn meal, try your hand at weaving on our barn loom, and see how much a harpoon gun weighs. Then walk the paths along Stony Brook – you might see a turtle, a beautiful dragonfly or baby herring headed out to Cape Cod Bay.